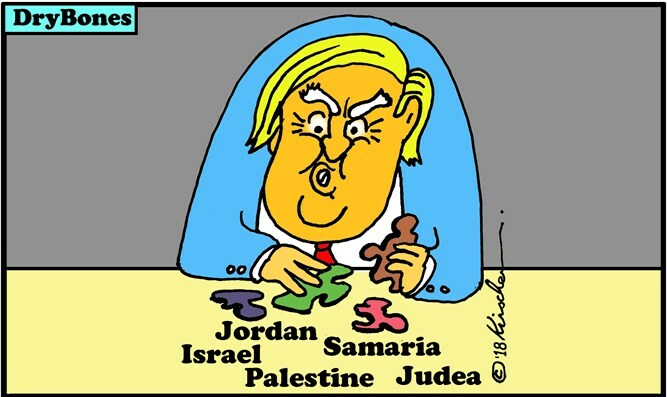 MainOpEdsPresident Trump, what two-state solution are we talking about? Four major developments in the past week have heightened expectations that President Trump will have no option but to call on Jordan and Israel to negotiate the allocation of sovereignty between their two respective States in the 'West Bank' and Gaza – 5% of the territory comprised in the 1922 League of Nations Mandate for Palestine (Mandate) . 3. US Secretary of State – Mike Pompeo – announced that the U.S. Embassy Jerusalem and U.S. Consulate General Jerusalem would be merged into a single diplomatic mission. 4. This was Trump’s response to the UN’s embrace of the “State of Palestine”.President Trump sent World Jewish Congress President Ronald Lauder as his personal envoy to Jordan. Lauder's visit reportedly occurred without the knowledge of Israel or Trump’s Special Middle East Negotiators - Jared Kushner and Jason Greenblatt. Jordan received $690 million in US aid in 2018 – to be boosted by a 27% increase for each of the next five years. Lauder would have reminded Jordan’s King Abdullah that Trump’s policy could see this aid reduced if Jordan refuses to negotiate with Israel. King Abdullah gave Israel twelve months’ notice of Jordan’s intention to not renew twenty-five year leases of two areas denoted as “Special Regimes” in the Israel-Jordan peace Treaty. These Special Regimes would become important bargaining chips in Jordan–Israel negotiations on the 'West Bank' and Gaza over the next 12 months. Any Trump peace proposal not requiring direct Jordan–Israel negotiations will be dead in the water from the get-go.